Mattel hoverboard was designed for young children to ride because it comes with a detachable handlebar and a foot strap to protect kids. One fact that we all cannot ignore is that kids have an undying love for hoverboards. It might come from the fact that they have seen their favorite celebrities riding them on Instagram or SnapChat, or the simple fact that their friend at school has one. In actual sense, hoverboards are one of the most bought gifts on Amazon and eBay during the festive seasons (especially Christmas and Thanksgiving). While there is no age-limit for electric hoverboards, you need to know some facts about these fantastic gadgets before going to purchase one for your kid. 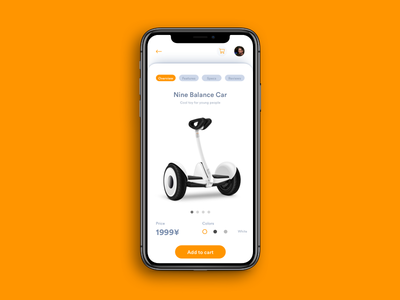 Simply put, a hoverboard, or in other words, a self-balancing scooter, is a fun and straightforward electric mode of transport that has been creating a buzz for quite a while now. So do you know the best hoverboard for 10-year olds? The process involved in the purchase of a top-quality hoverboard for your kid, or even for yourself, may not yield much fun as riding on one. Since the market is almost flooded with hundreds of products, cherry-picking the best one might be quite tricky. As a parent, choosing the best hoverboard for a 10-year-old should first involve safety. Therefore, while going through the various models offered by dealers, be sure to first check the safety ratings on the product. Top models with excellent safety ratings feature the new UL 2272 Safety Certificate which is specific for hoverboards, alongside other lightweight vehicles of transportation. Safety and Hoverboards: Why the Fuss? Since the invention of hoverboards and their availability in the U.S., over 2.5 million pieces have been sold in America alone. The rising sales of hoverboards have also resulted in an increase in injuries related to hoverboard use. Studies have shown that many emergency departments in hospitals have been receiving a rising number of hoverboard-related injuries. In a study that involved 83 patients from hoverboard-related injuries, 53% were adults, with the majority being female. The primary causes of the injuries were falls (90%) with an average severity of injuries of 5.4 out of ten. Most of these injuries were fractures and contusions, with younger children tending to have more fractures than the older patients. Worth noting is that over 20% of patients were admitted with head injuries, although only one patient was wearing a helmet at the time of the accident. According to this statistics, it is critical for a parent to put safety first when purchasing a hoverboard. My friend, Fred, who is also my neighbor, recently bought a hoverboard for his 11-year old boy as a Christmas present and he tells me that it has been a mind-blowing experience for his kid and for him too; he learned how to use it in the process. He says that his boy, who is a fast learner, had only had one minor incident when he was training on how to use it. The kid slammed into a nearby wall, breaking a baseboard, but did not sustain any injuries. Luckily, his wife is quite the protective type, she had insisted on purchasing all the safety gear that comes along with the product, inclusive of a helmet, elbow pads, knee pads, and wrist guards. He further says that the helmet comes in handy because it is quite heavy, a guarantee that your kid’s head will be safe. He also posited that the hoverboard on-board battery is quite long-lasting; he spends his evening with his kid hovering around the neighborhood, and a 30-minute trip only wears down 20% of the battery reserve. In trying to convince me to buy one for my nephew (which I did last month), Fred tells me it is an �evolutionary’ way of keeping kids at this age preoccupied. One just has to clear the furniture from the pathways especially during training sessions. I recently bought a hoverboard for my favorite nephew after going a lot of customer satisfaction reviews, including advice from my friend Fred. After this long search considering safety and quality, I ended up buying the same hoverboard that Fred had bought for his kid: The Razor Hovertrax 2.0 Hoverboard. I loved the Hovertrax due to its high safety rating and safety gadgets accompanied by the hoverboard upon purchase. It is UL 2272 safety compliant. Has a silent operation; great for the house. Comes in two riding modes. It features detachable batteries for extended battery life. Build using high-quality scratch-resistant polymer. Come with Advanced EverBalance Technology as a standard for excellent comfort and stability. LED panel lights show the kid when the batteries are about to die. It offers an excellent riding range of up to 15 miles. It has poor battery life. It has a lower than average top speed. All in all, the Razor Hovertrax 2.0 Hoverboard is an excellent hoverboard I would recommend for anyone with a kid. Are you considering purchasing one? Well, some hoverboards come with a higher-than-average price, but these may actually offer more comfort, stability, and safety. Whether you are looking to buy a hoverboard for traveling short distances, or for your kid to have fun and explore the world, hoverboard has proven suitable for any age group. You just have to look for good quality and safety ratings, alongside your other preferred specifics. Enjoy your hoverboard ride!